Like perfume for women, aftershave is always a great gift. Not many men will buy themselves aftershave and if it’s for your other half, at least they’ll know you like the smell of their aftershave! I love the smell of this Givenchy Play Sport aftershave, I definitely recommend it as a gift. I think headphones are a great gift. The majority of people listen to music, especially on their travels and Urban Ears headphones are good quality, they also come in many colours. Something that I know a lot of couples like to do is watch different TV series together. I know a lot of other people do the same, so I think it would be a lovely idea to buy the man in your life a series you watched together. Now I don’t know many people who wear cufflinks now but these were too cool to not put in my gift guide! I think anyone that loves gaming would love these cufflinks. Hip flasks are such an awesome gift and I think they’re making a comeback gift wise. You can put any drink you like in them, and this one from Paperchase sums up the way most people would feel about what they would put in their flask! 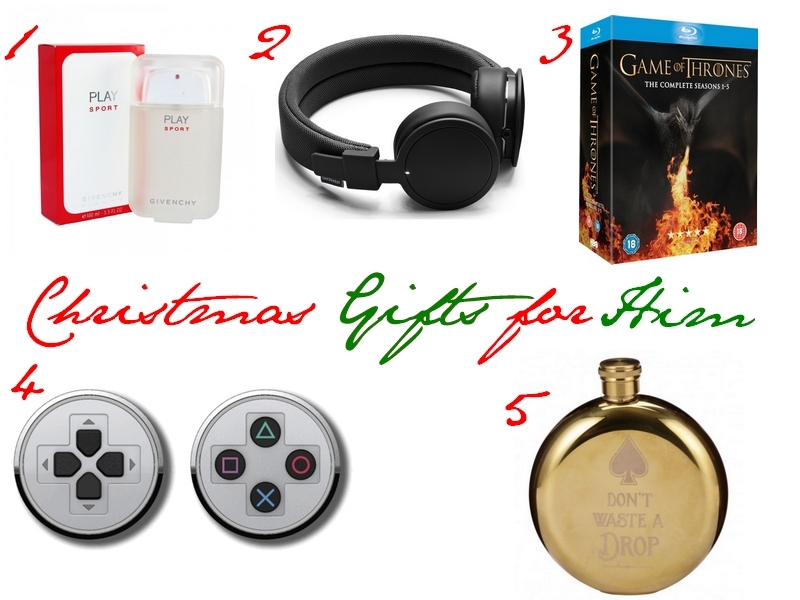 Next Post Christmas Gift Guide 2015 #3 – Under £15!